A ‘don’t panic’ message was handed to residents of a seaside village yesterday by their MP as they showed him their crumbling coastline. 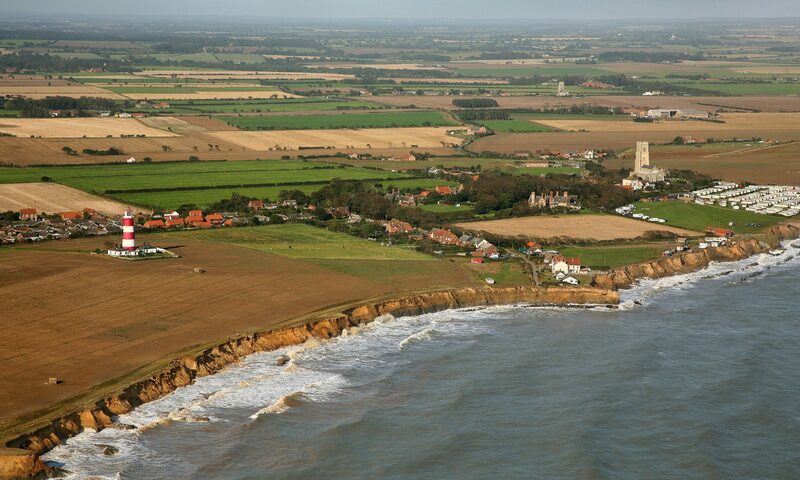 David Prior said there was no immediate threat to Happisburgh even though erosion rates were increasing and causing concern. Erosion at Beach Road on the eastern side of the village has hit the headlines as chalets have toppled on to the beach and a bay has formed where the sea has battered unprotected shore. But Mr Prior said: “There is no short-term problem, no need to panic, nor any need for a blight on property prices but there is a medium- to long-term problem which must be addressed.” He is to seek a meeting with junior agriculture minister Elliot Morley to get a commitment, and to stress protection should not be left until the last minute as it would cause anxiety and cost. Villagers also met district council officials and Euro-MP Clive Needle last night to call for action at local and European levels. Action group spokesman Malcolm Kerby said locals were shocked that there had been more erosion in the last three years than in the previous 50years.